Cocoa is the dried and fully fermented fatty seed of Theobroma cacao. From the seed, cocoa solids and cocoa butter are extracted. These products are the basis of chocolate. It is also used in many Mesoamerican foods such as mole sauce and tejate. One of the most popular food in the human diet today is chocolate. An average of ten pounds of chocolate are consumed by a person annually. Aside from the satisfaction one gets from eating chocolate, it also has health benefits. 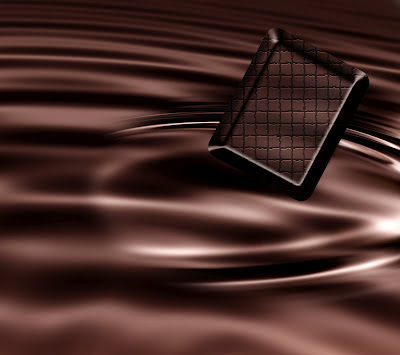 Chocolate contains a category of flavonoids called flavanols. Flavonoids are polyphenolic compounds found naturally in plants. Polyphenolic compounds are alcohols that contain two or more benzene rings that each have at least one hydroxyl group (OH) attached. Flavonoids occur naturally in fruits, vegetables and beverages (tea, coffee, dark chocolate, beer, wine and fruit drinks). The flavonoids are believed to possess beneficial effects on human health as they are said to have antiviral, anti-allergic, antiplatelet, anti-inflammatory, antitumor and antioxidant activities. Flavanols (with an "A") are distinct from flavonols (with an "O") which are also a class of flavonoids. Flavanols include the catechins and the catechin gallates while flavonols are ketone-containing compounds. Eating cocoa flavanols daily may improve mild cognitive impairment, according to new research in the American Heart Association's journal Hypertension. Each year, more than six percent of people aged 70 years or older develop mild cognitive impairment, a condition involving memory loss that can progress to dementia and Alzheimer's disease. Flavanols can be found in tea, grapes, red wine, apples and cocoa products and have been associated with a decreased risk of dementia. They may act on the brain structure and function directly by protecting neurons from injury, improving metabolism and their interaction with the molecular structure responsible for memory researchers said. Indirectly, flavanols may help by improving brain blood flow. In this study, 90 elderly participants with mild cognitive impairment were randomized to drink daily either 990 milligrams (high), 520 mg (intermediate) or 45 mg (low) of a dairy-based cocoa flavanol drink for eight weeks. The diet was restricted to eliminate other sources of flavanols from foods and beverages other than the dairy-based cocoa drink. Cognitive function was examined by neuro-psychological tests of executive function, working memory, short-term memory, long-term episodic memory, processing speed and global cognition. Scores significantly improved in the ability to relate visual stimuli to motor responses, working memory, task-switching and verbal memory for those drinking the high and intermediate flavanol drinks. Participants drinking daily higher levels of flavanol drinks had significantly higher overall cognitive scores than those participants drinking lower-levels. "This study provides encouraging evidence that consuming cocoa flavanols, as a part of a calorie-controlled and nutritionally-balanced diet, could improve cognitive function," said Giovambattista Desideri, M.D., study lead author and director of Geriatric Division, Department of Life, Health and Environmental Sciences, University of L'Aquila in Italy. "The positive effect on cognitive function may be mainly mediated by an improvement in insulin sensitivity. It is yet unclear whether these benefits in cognition are a direct consequence of cocoa flavanols or a secondary effect of general improvements in cardiovascular function." The study population was generally in good health without known cardiovascular disease. Thus, it would not be completely representative of all mild cognitive impairment patients. In addition, only some clinical features of mild cognitive impairment were explored in the study. "Given the global rise in cognitive disorders, which have a true impact on an individual's quality of life, the role of cocoa flavanols in preventing or slowing the progression of mild cognitive impairment to dementia warrants further research," Desideri said. "Larger studies are needed to validate the findings, figure out how long the positive effects will last and determine the levels of cocoa flavanols required for benefit."